I have a special treat for everyone today! 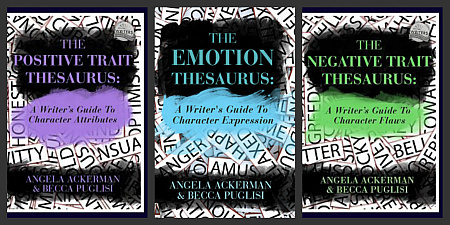 I’ve mentioned many times that I love The Emotion Thesaurus by Angela Ackerman and Becca Puglisi (of The Bookshelf Muse/Writers Helping Writers fame) for expanding my “showing vocabulary” when it comes to character emotions. A few weeks ago, I shared how their new books, The Positive Trait Thesaurus and The Negative Trait Thesaurus, contained tons of new character development tips that I’ll definitely be using for character creation. But I wondered if the new books could be used during the drafting or editing stages too, like how I use the ET on a near-daily basis. Angela and Becca answered my call for help, and Becca is here today to share her tips for how to use the two Trait Thesauri books during all stages of writing, not just for character creation. 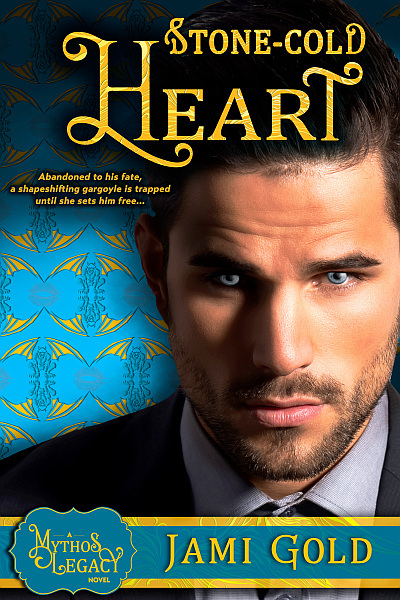 (*psst* This is a long post, but a keeper—and read all the way through for a giveaway.) Please welcome Becca Puglisi! First off, let me start with a great big pom-pom shake for all the NaNo’ers out there! I’ve always wanted to participate, but since November is a terrible month for me, I’ve decided to do my own NaNo in January. I’m super excited to work on my story idea, one that started with the good ol’ What If? scenario. My stories are, without exception, plot driven. And yet, as a reader, it’s not the plot that holds my interest. It’s the characters. This is why I believe that for a story to succeed, you’ve got to get the characters right. For readers to connect, the characters have to be believable, relatable, and consistent. This is one of the reasons Angela and I chose to follow up The Emotion Thesaurus with a resource on character traits. 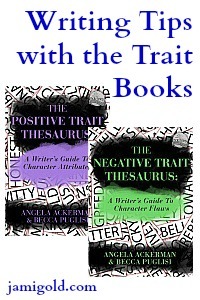 Our books, The Positive Trait Thesaurus: A Writer’s Guide to Character Attributes and The Negative Trait Thesaurus: A Writer’s Guide to Character Flaws, are geared to help writers build strong, realistic characters. These books can be quite helpful in the creating and outlining stage; this post from Davonne Burns is a great tutorial on how to use them to create characters during the planning process. But these resources can also be helpful during the drafting and revision stages. Build CONSISTENCY by using the Associated Behaviors and Attitudes field. This field contains an array of possible actions and reactions that might make sense for your character. Take extravagance, for example, from The Negative Trait Thesaurus. Associated behaviors and attitudes for an extravagant character may include lying to cover one’s expenditures, scorning money-saving methods, not taking care of one’s possessions, or being ignorant of how others live. Tip: As a brainstorming tool, this field can help you come up with sensible actions for your extravagant character so you can paint a consistent picture of her personality. Add INSIGHT by using the Associated Thoughts field. Characters aren’t always forthcoming. They often try to hide their flaws or even their positive attributes from others. It can be challenging for us to show our characters’ true traits when they’re working so hard to keep them hidden. Thoughts, though, are unfiltered; they’re a great way to reveal to the reader who the character truly is. Tip: Use this field to brainstorm thoughts that can add contrast to behavior and clarify for the reader who the character really is in his heart of hearts. Add CONFLICT by introducing characters who clash (refer to the Traits In Supporting Characters That May Cause Conflict field). Conflict is absolutely pivotal to a successful story; it’s one of the things that keep readers turning pages. 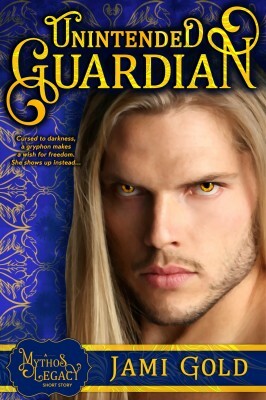 One great way to add tension is to introduce characters whose traits conflict with the hero’s. Tip: If you know your hero’s defining trait, consult the associated Traits In Supporting Characters That May Cause Conflict field to see which flaws and attributes may create the most fireworks. If you’re anything like me, once you’ve reached the revision process, you’ll begin to notice some issues with your character that need addressing. The Trait Thesauri can be a big help in fixing some of these common problems. Add DEPTH to flat characters with the Negative and Positive Aspects fields. Characters are rarely all good or all bad. Flaws have positive traits associated with them, and positive attributes can have negative elements. Tap into both the positive and negative sides of your character’s defining trait to add depth. In the Positive Aspects field of the extravagant entry, we see that characters with this flaw are often generous; they’re frequently involved in fun and exciting events (like parties and expensive trips) that can add interest to your storyline; these characters can be highly social, life-of-the-party types, which may draw others to them. Tip: To add layers to a flat character, explore both sides of his defining traits—the positives and the negatives—and you’ll add depth without sacrificing consistency. Make sure your character has a FLAW to overcome (refer to the Overcoming This Trait As A Major Flaw field). While much of your character’s conflict will come from external sources, an internal conflict will add interest to readers, because while most of them haven’t had to defeat a dragon or dismantle a bomb, readers understand flaws and the struggle to master them. To increase the possibility of readers connecting with your character, consult The Negative Trait Thesaurus and choose a flaw that makes sense—one that the hero must overcome by the end of the story. Tip: If you’re not sure how to help him defeat that flaw, the Overcoming This Trait As A Major Flaw field (which is only found in the Negative Trait volume) can give you some ideas. Add ENVIABLE or LIKABLE traits to increase reader empathy with The Positive Trait Thesaurus. While characters need to be flawed, they also need to be likable, admirable, or intriguing in some way. Traits like intelligence, wittiness, courage, and loyalty are largely admired and will resonate with readers. This is where The Positive Trait Thesaurus comes into play. Look for qualities that make sense for your character and add them to her personality. Tip: These positive attributes will smooth out the rough edges of your character’s flaws and increase the chances of endearing the reader to her. Make your character more REALISTIC by understanding why he is the way he is (refer to the Possible Causes field). Some authors make the mistake of randomly assigning traits without having a clear idea of why their characters embody these qualities. Attributes and flaws don’t just spontaneously appear; they form out of past factors. Environment, genetics, role models and peers, wounding events—all of these determine which traits a character will exhibit. If you’re not sure why your extravagant character is the way he is, check out the Possible Causes field of that entry for some ideas, then dig deeper. One of the causes listed is “wanting to impress others.” Ok. Why does he have this need? Maybe it’s because he grew up in a family of overachievers who always stole the limelight. Maybe by throwing his money around, he gains the attention that he never received growing up. Another possible cause: “the inability to say No to loved ones.” Why does this drive him? What happened in his past that makes it so hard for him to simply say No? Traits don’t exist in seclusion. They emerge due to events and influences from our past. Tip: Figure out why your character is the way he is, and you’ll be able to write him in a believable fashion. I could write more on this subject, but it’s time to wrap things up. Angela and I have learned so much from the writing of these books. 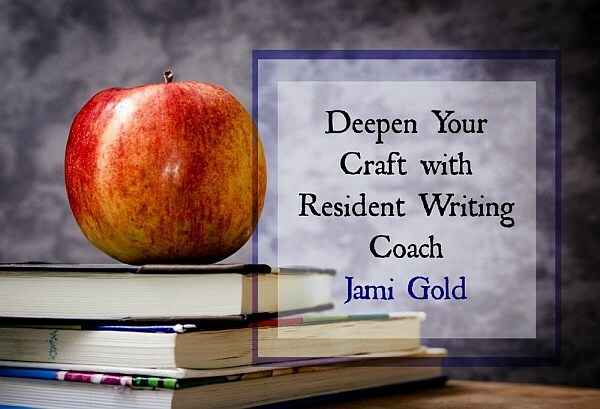 We really believe that they can be helpful at all stages of the writing process, and I personally can’t wait to put what I’ve learned into practice on my next project. Best of luck! I don’t need this but I have to have it. Money is no object. I’ve earned a little spending spree. POSITIVE ASPECTS: Many extravagant characters are truly generous at heart, wanting to share what they have to make others happy. Because of their willingness to spend money freely, they’re often involved in exciting activities: parties, vacations, shopping sprees, etc. This makes them life-of-the-party characters, and easily likable. NEGATIVE ASPECTS: Though they might be popular, it is difficult for extravagant characters to tell true friends from scavengers. If there is an ulterior motive behind their wastefulness (insecurity, a desire to maintain appearances, etc. ), they can easily fall victim to those willing to manipulate them. Resources are never infinite, and if extravagant characters aren’t careful, their waste can lead to financial ruin, affecting not only themselves but family members as well. OVERCOMING THIS TRAIT AS A MAJOR FLAW: Extravagance is only desirable when one has resources to waste. When the resources run out, so must the wastefulness. But inconveniencing oneself isn’t always enough; characters can run into personal difficulty and still not change their extravagant ways. It’s more difficult to see one’s wastefulness affect loved ones in a drastic, traumatic way and not come away changed. 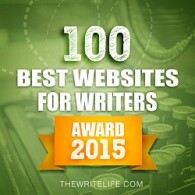 Becca Puglisi is the co-creator of The Bookshelf Muse, an award winning online resource for writers. She has also authored a number of nonfiction resource books for writers, including The Emotion Thesaurus: A Writer’s Guide to Character Emotion; The Positive Trait Thesaurus: A Writer’s Guide to Character Attributes; and The Negative Trait Thesaurus: A Writer’s Guide to Character Flaws. 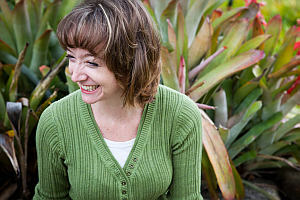 A member of SCBWI, she leads workshops at regional conferences, teaches webinars through WANA International, and can be found online at her Writers Helping Writers website. Wow! Fantastic information, Becca. I can’t wait to try out these techniques. I love the DEPTH tip of using the Positive Aspects of a negative trait to show both sides with consistency. Thank you so much for sharing! Now as promised, Becca will also be giving a PDF copy of one of the new Trait Thesauri (winner’s choice) to one commenter. 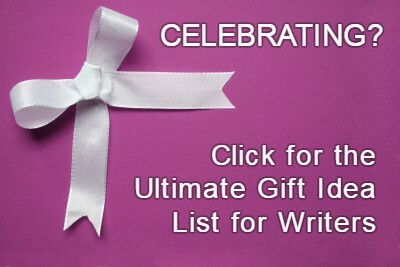 To enter, just leave a comment before 5:00 Eastern Time on Wednesday, November 27, 2013. Have you used the Positive or Negative Trait Thesauri yet? Did you use them just for character creation, or do you have other tips for using them during drafting or revision? What’s your favorite tip of Becca’s? Do you have any questions for Becca? If you win the giveaway, do you know which Trait Thesaurus you would want? I love all of this. I’m fighting with a character right now, and looking at it from this logical standpoint will work for me. I’ve only recently figured out what her story is–and that’s good because I’m planning on writing the whole next book about her. But she gets introduced in this book, and having this type of information is useful. I’ve not used these books yet, but the Emotion Thesaurus is getting more dog-eared every day. Thanks ladies! Isn’t this great? I’m so happy to have Becca’s tips to refer to. 🙂 Thanks for the comment! Hi, Crystal. Weirdly, I used to think that characterization was a strong point of mine because I was pretty good at showing my character’s traits and sticking to them. But I’ve realized that if you don’t put real thought into what those traits are and why the character has them, it doesn’t matter how good the writing is. Good luck! And I’m glad you’re getting your money’s worth out of the Emotion Thesaurus :). Great post–I hope this helps people see the possibilities. And…is it totally weird that I can’t wait to use these books myself? LOL, Like Becca, I have always been better with plot than character, and so I am greatly looking forward to applying what I’ve learned writing these two books as I turn back to my own fiction. I understand! I write posts about things I learn about the writing process, so I have many posts here that I refer to later for a refresher. LOL! Thanks for “loaning” me Becca for the day. 😉 And thanks for the comment! I’ve been so focused on getting the fast draft of my book done for NaNo that I haven’t even been thinking about craft books. I’m really thankful for this helpful post, though, because I don’t think I’ve been using The Emotion Thesaurus to its full potential. I think I have more trouble making the negative flaws mesh with positive traits to make a character more likeable or more believable. Which book would help me most with this problem? Some brilliant ideas there. I especially like the idea of conflicting traits in supporting characters. Thank you for the tips. Yay for more conflict, right? 🙂 Thanks for the comment! Hi, Sharon! If you struggle more with adding in those positive attributes, I would suggest the Positive Traits Thesaurus. Each entry focuses on a positive trait and is similar in format to the ‘extravagant’ sample in the post, giving lots of ideas on how the trait can be integrated for your character. There’s also information in the front matter that explains why positive attributes are necessary for every character and how to go about choosing the right combination of traits for your character. I think that for the front matter alone, the Positive Attributes volume might be more useful for you. Best of luck with your NaNo novel! Thanks for the post. I use the Emotion Thesaurus several times a week, but didn’t know about the new books. What a fab idea! Yes, I’m excited to dig into these new volumes more now. 🙂 Thanks for the comment! I loved the emotional thesaurus so much that I bought both of these the day they came out. Such an amazing value/help to any writer who values breathing depth into their characters. I know! I love the ET so much I was going to give Angela and Becca the benefit of the doubt no matter what. I’m so glad these live up to that level. 🙂 Thanks for the comment! Oh, thank you, Rhenna! 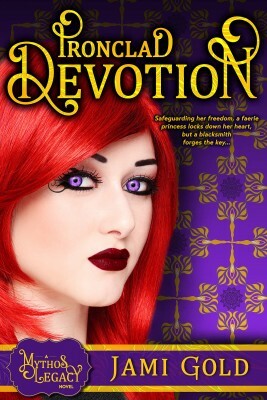 I’m always glad to hear that people don’t have buyer’s remorse when they purchase our books :). Best of luck with your writing! As a blind writer the emotional thesaurus and now the positive and negative trait thesaurus are worth their wait in Gold! I love them and the emotional thesaurus is one of the best reference materials I’ve ever bought. I’ve put the two trait thesaurus on my Christmas list. Thank you ladies for all your hard work on these and please keep them coming!!!! Fantastic point! Writers with visual impairment might not have the life experience of what the typical cues for emotions are. Like you, I can’t thank them enough for sharing their knowledge. 🙂 Thanks for the comment! Christina, you don’t know how happy it makes me that our books are being such a practical help. I must say that I hope Santa comes through for you ;). As usual the advice is stellar. I may just print this off so I can refer back to it as needed. 😉 These books are amazing resources and mine now have a permanent home next to my computer. I will definitely be taking this advice to further improve my plot and characters! Excellent! Thank you so much for sharing. 🙂 I’ll be referring to both of your posts again, so I’m happy to have all the links here for easy reference. Thanks for the comment! You are most welcome and thank you so much for sharing my posts! Thanks Becca! I’d love to help out however and wherever I can! These ideas are great. I love character driven books and this would certainly help to beef them up. As I was following the articles included in the post I felt like a psychotherapist and profiler. That’s fun too. I just finished my NaNo and omg, the editing it’s going to need as far as the MC. I just couldn’t make her interesting…which is pretty hard to do considering she’s a ghost! So yeah, these books might be just the ticket for fixing problem. I’ll keep my fingers crossed that your revising goes well. Thanks for the comment! Hi, Wulfie. Congrats on finishing you NaNo! What a great accomplishment. If you could get that done, I’m sure you’ll be able to tackle the edits with no problem. Have fun! Well done, ladies. These books look brilliant! Can’t wait to check them out and recommend them to my writing group. Yep, this much brilliance can’t be kept to ourselves. 😀 Thanks for the comment! I managed to successfully fast draft for NaNo and, while I had a good idea of the personalities of my main characters, I was writing mainly by instinct (leaving my logical mindset out of the creative process altogether). I’ll be revising the ms in December and the one thing I want to make sure of is that my characters are consistent and believable in how they act and in what motivates their actions. So awesome, Lisa! I’m always amazed at you NaNo winners. You must be so proud (and relieved, lol)! Good luck with the edits! Yes, I write by the seat of my pants, so my characters develop organically too. I’ll definitely be using these Trait books in revision to bring it all together. 🙂 Thanks for the comment! I just hit the 48K mark on my NaNo story, and in celebration I pulled my copy of the Emotion Thesaurus from the shelf. Now that I know who my characters are, and have discovered an actual plot (hehe) I can have fun giving them fresh emotional experiences. I do have trouble finding the fatal flaw, so the new thesauri would come in handy. Congrats, Luanna! You’re really charging! As we mention in The Negative Trait Thesaurus, we’ve found that most often the fatal flaw is a result of a past traumatic event—something traumatizing that the character never wants to experience again. And so a flaw develops. If you can figure out the wounding event, you can often logically figure out what flaw might develop. Best of luck! Great information! I always know that backstory wound, but I’ll be digging into this tool to sharpen the flaw in revisions. 🙂 Thanks again for all you do! That’s fantastic! Congratulations on your NaNo word count, and have fun discovering the depths of your characters. 🙂 Thanks for the comment! Wow! Those are all fantastic! I love The Emotion Thesaurus and I have a feeling these are fantastic too! Yes, I’m actually excited about revisions now so I can use these to dig deeper. LOL! Thanks for the comment! Congrats, Crystal, on winning a PDF copy of The Positive Trait Thesaurus! And thank you, everyone, for reading and commenting. Have a wonderful Thanksgiving :). Congratulations, Crystal! 🙂 I hope you enjoy! Crystal, if you can email me at jaddpublishing@gmail.com, I can email you your copy :). oh my goodness! I will enjoy! Thanks so much, both for this informative post, all of the comments, and now this gift. I was kind of having a ‘boo, hiss’ kind of day, and this small blessing has completely turned it around. I’m sorry you were having a boo-hiss day, but I’m glad this news helped with that. 🙂 Congratulations! Hmm, is it true that ALL personality traits have a reason (genetic or environmental)? Just put that question up there as a psychology major who likes to ask questions about things like nature vs nurture, lol. Could there be things in your personality that are neither inherited from your parents nor shaped by your environment? I don’t have an answer to that question yet, unfortunately, haha. But it’s interesting to think about as a psychological question, lol. And even if something did go wrong, why do some people rise above their environment while others don’t? Very thought provoking for real life and our characters. Thanks for the comment! Oh, I’m not a girly-girl either. I hate shopping–to the point that I don’t care if/how Amazon is evil, if I get to complete my Christmas shopping without stepping into a store, I’m there. 🙂 I have no shoe fetish, don’t get manicures, etc. I wouldn’t call that being non-female, however. We’re not required to be a girly-girl to be female. I might refer to it as being a low-maintenance female. 😉 I often find my male POV scenes easier to write too. LOL! In other words, gender is not as black-and-white as some people think. That’s what Taurean talks about from the male point of view–that too many people seem to think all males are alpha-male jerks. But just as that’s not true, not all females are “high-maintenance” girly-girls either. The point is to accept ourselves as we are and not judge ourselves based on others’ expectations. 🙂 Thanks for the comment! Lol high-maintenance females. XD. Yes, males are definitely not all alpha jerks. NONE of the many males I love and respect in my life are alpha jerks, for example, lol. About the gender identity topic again, I recently read an article talking about this, saying that femininity and masculinity are not opposite sides of a pole. If you are more feminine, you are not automatically less masculine; and if you are more masculine, you are not automatically less feminine. You can be high in both or low in both; they are independent. Masculinity and femininity are separate arenas. I quite like this point! This explains why one can be happily androgynous too, lol. Ooo, interesting idea about the masculine/feminine brain. Both with those tests and the left/right brain tests, I always come out with near-equal amounts in both categories. 🙂 Thanks for the comment! Excellent blog post. I found the Emotion Thesaurus an invaluable tool mainly used in the past during the editing stage. I’m in the process of crafting a new series and feel like I’ve found a treasure with two more supporting books. Yay! I’m happy to help. 🙂 Enjoy the new books and thanks for the comment!